On June 22, 1920, Harry R. Landis, an immigration inspector in Chicago, sent a letter to several immigration officials across the country, alerting them that “two Koreans [were] traveling through the United States in violation of the Mann Act.” Upon first glance, this letter seems fairly typical for the times: Immigration officials were on the lookout for any criminal activity by immigrants for deportation reasons, and following up these allegations would have been routine. But the reason this letter is particularly noteworthy today is because of one of the Koreans in question: Syngman Rhee. Rhee is now best known as the first president of the Republic of Korea, and he remains a controversial figure, having been notorious for authoritarian practices during his three-term tenure. However, at the time of Landis’s writing, Rhee was still a young nationalist in exile. The mission eventually failed, and Rhee stayed in America, opting to study at George Washington University in D.C., where he received a B.A. in 1907. He obtained an M.A. from Harvard the following year and a Ph.D. from Princeton in 1910, becoming the first Korean student to do so in the United States. Then he returned home and worked in Seoul as an educator and a Christian missionary. However, the Japanese annexation of Korea created an unfavorable political climate for Rhee, and in 1912, he left again, this time for Hawaii. In Hawaii, he continued to stay politically active, establishing a local Korean paper, the Korean Pacific Magazine, while serving as the head of a Korean Methodist School in Honolulu, the Korean Christian Institute. 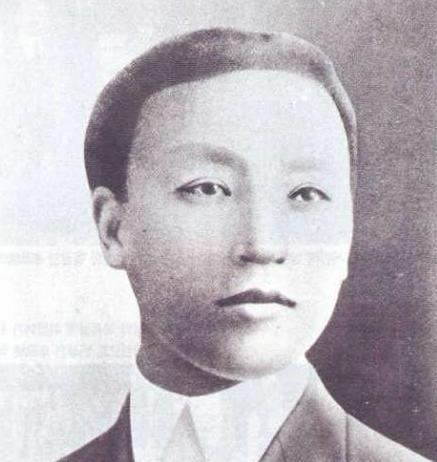 When the Korean Provisional Government was formed in Shanghai in 1919, Rhee was elected president in absentia (as he was still in Hawaii at the time). At that point, he was spending most of his time advocating for Korean independence to American audiences, largely through public speeches and written editorials. However, on August 25, Kim was called by the Honolulu immigration office to testify, and her testimony revealed startling inaccuracies in the information that Landis had received and had been relaying. Kim noted that although she and Rhee were traveling on the same train from Chicago, their meeting was “accidental” and that her intended destination was Willows, California, where she visited her brother. Halsey’s conclusions were communicated back to Landis on September 8, with the San Francisco commissioner rather succinctly stating, “[The Honolulu] office…is strongly of the opinion that the allegations are not well founded.” This September 8 letter effectively closed the U.S. Immigration Service’s case on Rhee, with one brief exception in August 1921, when the Portland, Oregon, office inquired about Rhee and were told that he was of no concern to immigration officials. Rhee’s story is clearly not an Angel Island one—he first immigrated to the United States as a student in 1904, six years before the immigration station opened. During his subsequent years in the country, he was never a serious target for immigration officials, as a result of his professional status as an educator and a missionary and because of his relative fame as a notable Korean political organizer. But this particular narrative is still worth noting because of all that could have happened. Rhee was privileged in the sense that he was prominent politically, highly educated, and held multiple degrees from elite educational institutions in the country. He also happened to know the inspector in charge at his local immigration office, who was able to vouch for Rhee when Rhee needed him to. Most immigrants didn’t have access to these advantages—instead, had they been accused of the same offenses as Rhee, they would likely have been found guilty and deported. Even “close calls” such as Rhee’s situation should remind us of the unforgiving nature of American immigration policy and how the Immigration Service often operated on the principle of “guilty until proven innocent,” rather than “innocent until proven guilty,” when it came to Asian immigrants in the United States. Marn J. Cha, “Syngman Rhee’s First Love,” IEKAS: The Information Exchange for Korean-American Scholars 12-19 (2012): 3, http://www.phy.duke.edu/~myhan/kaf1204.pdf. Michael Breen, “Fall of Korea’s President Syngman Rhee in 1960,” The Korea Times, April 18, 2010, http://www.koreatimes.co.kr/www/news/nation/2011/01/113_64364.html. Cha, “Syngman Rhee’s First Love,” 3. John De Looper, “Syngman Rhee’s Time at Princeton,” Mudd Library Manuscript Blog, March 1, 2011, https://blogs.princeton.edu/mudd/2011/03/syngman-rhees-time-at-princeton/. “Syngman Rhee,” New World Encyclopedia, http://www.newworldencyclopedia.org/entry/Syngman_Rhee. Lee Wha Rang, “Who Was Rhee Syngman?” Kimsoft, February 22, 2000, http://www.hartford-hwp.com/archives/55a/186.html. Sanderson Beck, East Asia 1800-1949 (Santa Barbara, CA: World Peace Communications, year? ), http://www.san.beck.org/21-6-Korea.html. Jimin Kim, “Representing the Invisible: The American Perceptions of Colonial Korea (1910-1945)” (Paper, Columbia University, 2011). Roberta Chang and Wayne Patterson, The Koreans in Hawai’i: A Pictorial History, 1903-2003) (Honolulu, Hawai’i: University of Hawai’i Press, year? ), 17. Esul Burton is a student at Yale University studying Political Science and wrote this as an extern at AIISF in Spring 2017.